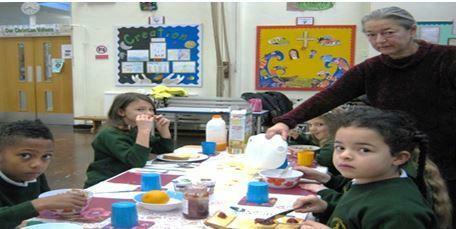 Breakfast Club runs from 8:00am – 8:40am, Monday to Friday, in the school hall. The daily charge for each child's attendance is £2.00, payable in advance. Please contact the school office for further information, or download a copy of the registration form. If your child has any allergies or dietary requirements, please let us know. Come along and enjoy a healthy breakfast, and have some fun before school starts; many exciting learning games, creative activities, opportunities to read and use information technology and much more!